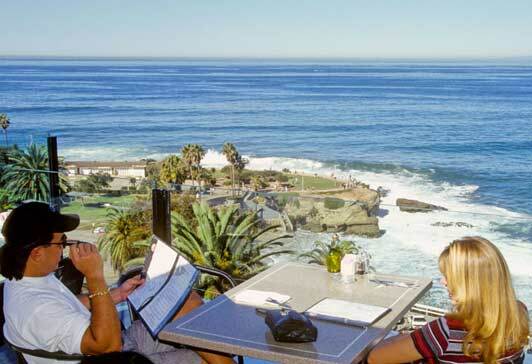 Many La Jolla restaurants serve a great view with their best food. Looking for La Jolla’s best food? Our community is a haven for foodies and you could easily spend a month sampling olive oil, sipping local wine, tasting fish you’ve never tried before, being amazed by our craft beers, and enjoying farm-to-table produce. We also make a good cup of coffee and the best fish tacos in the world. Having said that, I know you don’t have a month, so – to save you time – I’ve put together this insider’s guide to La Jolla’s best food. The Market is a great place to sample local produce, such as avocados (our county’s #1 cash crop), citrus, strawberries, and macadamia nuts. 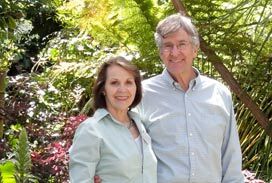 Most of the Certified Farmers Market vendors operate small family farms and will be more than happy to give you the background on their products. Other vendors at the Market sell locally-produced olive oil, jams, savory spreads, honey, fresh pasta, and baked goods. 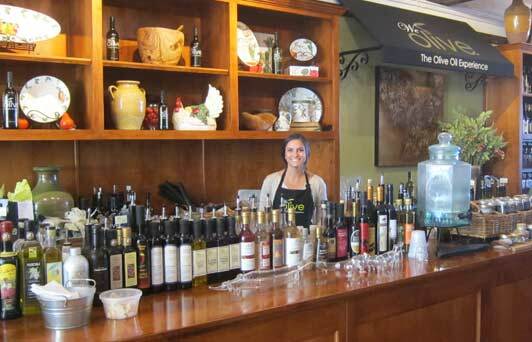 At We Olive, you can taste two dozen kinds of extra virgin olive oil from small producers around California. Another good place, We Olive on Prospect Street is a great spot to sample more than 20 different extra virgin olive oils from small producers around California. They also have sauces – tapenade, pesto, spicy and sweet – that you can taste. Every gourmet item they sell in the store is available for tasting. You might also want to order some tapas at We Olive and sit on their balcony and drink in the ocean view – as well as some of their hard-to-find wines from small California wineries. La Jolla has lots of places where you can learn to prepare the best food. Sur La Table on Girard Avenue has classes almost every day in their beautiful teaching kitchen. Even if you don’t take a class, stop in the store just to see the dazzling array of kitchen equipment, cookware, and tableware. They also have an excellent Gift Registry. My friend Urs Baumann teaches cooking at the La Jolla Community Center about once a month. Actually, they’re called “cooking classes” but most folks just sip wine, watch him do all the work, and enjoy a great meal. Want to prepare the best food at home? How about this kitchen just blocks from the beach? Feel the need for a kitchen? Vacation rentals are great for foodies who want to shop at farmers’ markets and local shops and experiment with local ingredients “at home.” If this sounds like something you’d like to do, Sea Breeze Vacation Rentals manages some great La Jolla homes. “Where can I get the best fish tacos?” I’m always surprised how often I get that question. 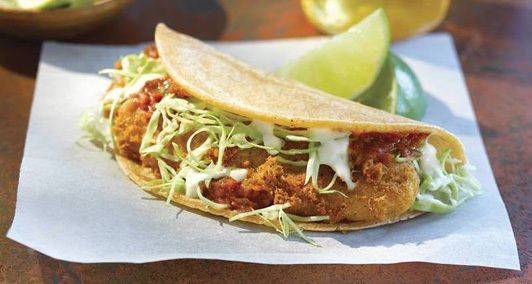 Fish tacos are a staple in our diet and every local has their favorite source. However, I’m sure if we polled everyone in San Diego, Rubio’s would be the overall favorite. Their crispy beer-battered Alaska Pollock just tastes better than everyone else’s fish. Best food on the go? Rubio’s fish tacos. I wish I could say that you can find these best foods all in the same place but, in fact, our best coffee comes from Bird Rock Coffee Roasters on La Jolla Boulevard in the Bird Rock neighborhood of La Jolla, and the best baked goods are in the village. Brick and Bell on Silverado Street is famous for their scones, and Cups on Girard Avenues makes fluffy, flavorful (did I mention pricey?) cupcakes. Feast your eyes on the über-fresh best food from the sea at El Pescador Fish Market on Pearl Street. Much of it is straight off the boat, and “the boys” working there may even know the name of the boat. 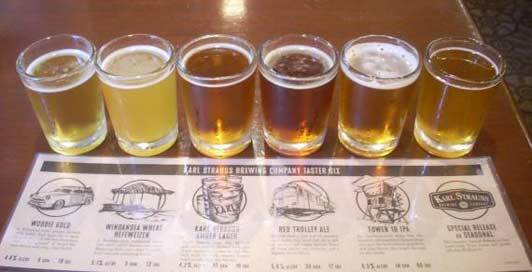 San Diego’s Karl Strauss Brewing Company is one of the best craft brewers in the country. Two San Diego guys – Chris Cramer and Matt Rattner – started Karl Strauss Brewing Company in their Mission Beach Apartment in 1989, and it’s now one of the top craft breweries in the country. Taste for yourself at Karl Strauss La Jolla. San Diego Beer & Wine Tours offers popular “Wine & Food Walking Tours” and “Beer & Food Walking Tours” in the village area of La Jolla. The 3-hour tours cover about a mile and guests meet local restaurateurs while they snack and sip. OMG. Where to begin? La Jolla has many wonderful places to eat. It’s almost an embarrassment of riches – and it definitely can feel overwhelming when it comes time to make reservations. For quite some time I’ve relied on the advice of my food writer friend Maria Montana. She knows good food and she keeps in touch with the best local chefs. 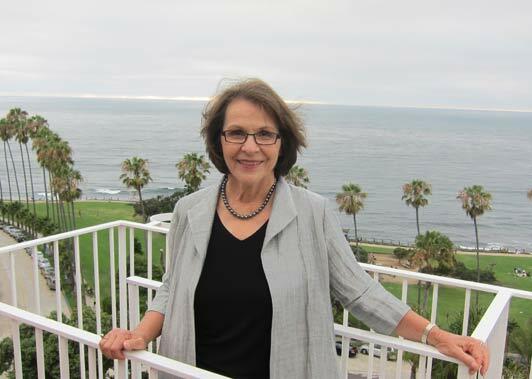 I’m always happy to answer “where-to-dine” questions, but, serious foodies would be wise to buy her new books: Food Lovers’ Guide to San Diego and San Diego Chef’s Table. Certainly, you’ll be introduced to some of San Diego’s best food at A. R. Valentien, the signature restaurant at The Lodge at Torrey Pines. If it works with your travel plans, make a reservation for Thursday night and ask to be seated at The Artisan Table. In this communal setting, you’ll share platters of farm-to-table delicacies with kindred spirits and discuss the meal with the Chef Jeff Jackson. I also really like THE MED at La Valencia Hotel – especially when the weather is right for dining on the ocean-view terrace. Chef Daniel Barron’s New American cuisine puts an ethnic twist on fresh local ingredients. Sommelier Tammy Wong provides expert guidance, and Mary Katherine Woods is a wonderful pastry chef. Tip: don’t pass up the peanut butter and milk chocolate bar. P.S. Sur La Table, SeaBreeze Vacation Rentals, Rubio’s, Karl Strauss, A. R. Valentien at The Lodge at Torrey Pines, and THE MED at La Valencia are all participating in the La Jolla Foodie Getaway. Click here to enter the contest.